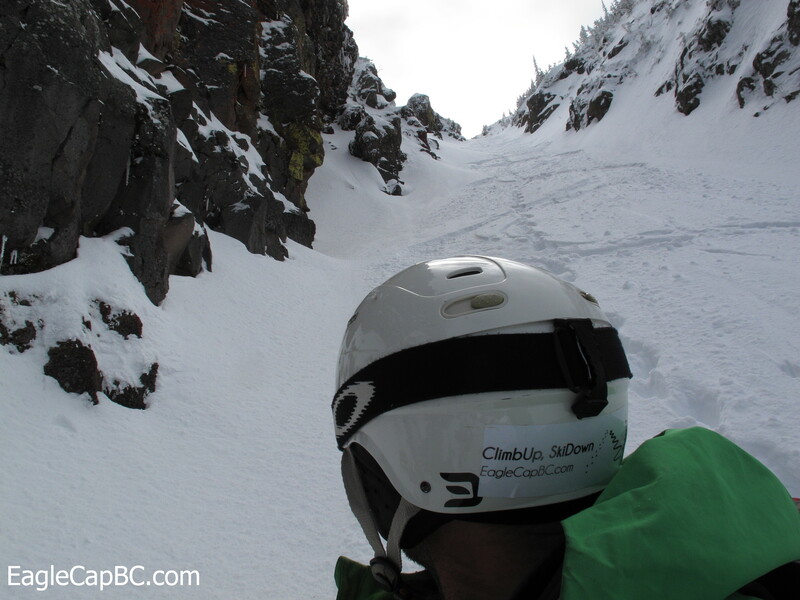 I saw this couloir last year while skiing a couple of the other north face chutes. Shortly after that I realized you can’t miss it from highway 82 coming into Enterprise. Finally got around to heading up Ruby again today. The forecast called for sun, but after waking up to gloomy skies I milled around for an hour trying to figure out if the weather would clear or I’d be better off doing some other projects. I decided to trust the weatherman and headed out. The clouds were in and out all morning, mostly in. 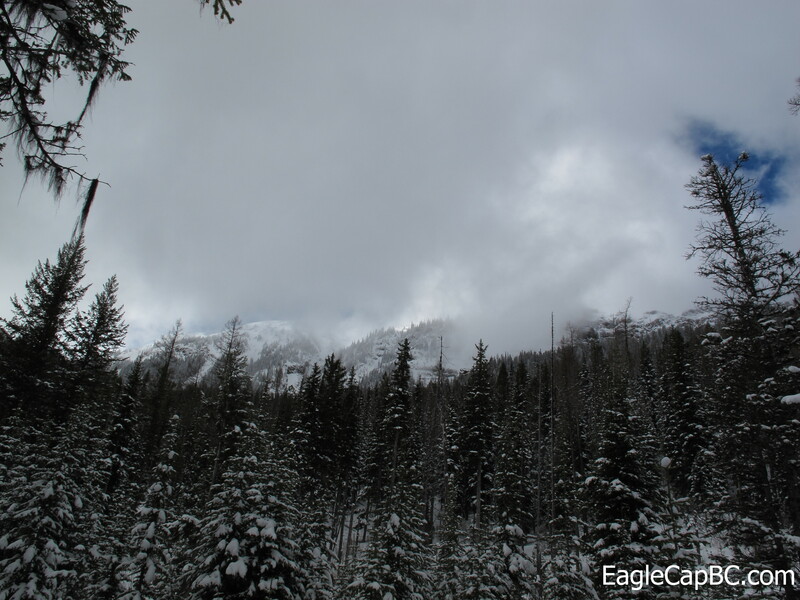 I made good time up the chute and moseyed over to the summit, hoping the clouds would clear. I spent an hour and a half on the summit, decided enough was enough and headed back to the chute. By that time the clouds finally cleared and I was fortunate enough to have a sunny descent. 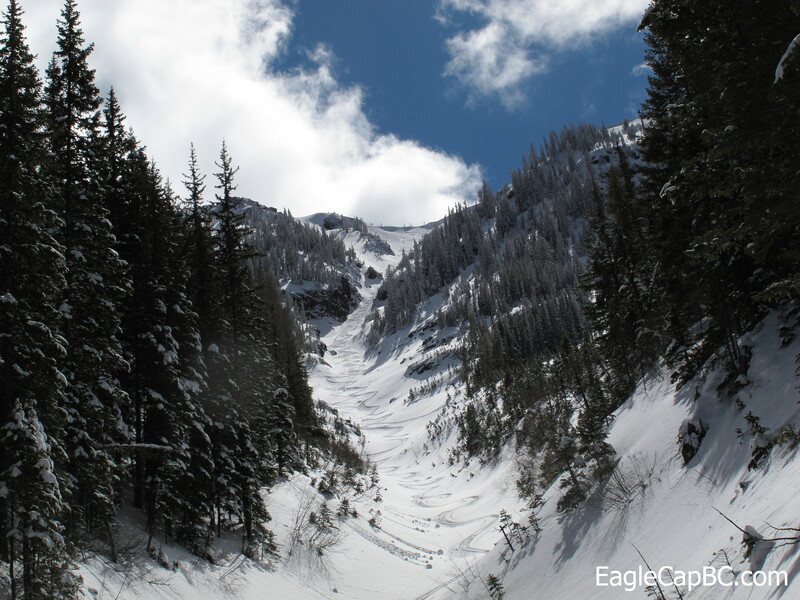 This entry was posted in Backcountry Skiing and tagged Eagle Cap Wilderness, Ruby Peak, Wallowa Mountains by Lee. Bookmark the permalink.